Welcome to the website of Malvern Masonic Hall. 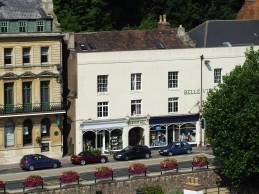 The Masonic Hall, which was originally part of the Belle Vue Hotel, is situated on Belle Vue Terrace in Great Malvern and has been the home of the Malvern Freemasons since 1911. Within the Masonic Hall, Freemasons meet in what was was once the hotel billiard room. The dining room is thought to have been the hotel refreshment area, which was allocated to commercial travellers to entertain their local customers. The Masonic Hall is the meeting place of three Craft Lodges, a Royal Arch Chapter and a Lodge of Mark Master Masons. Please click here for more information.